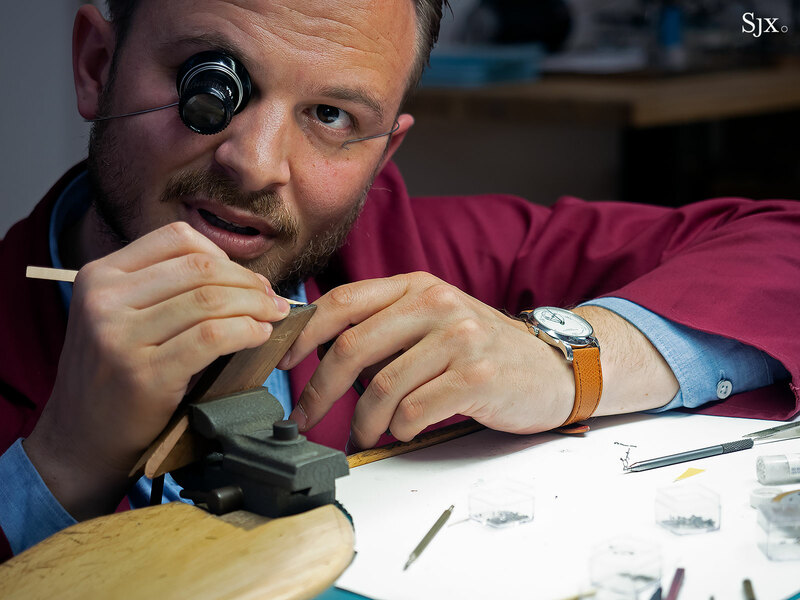 Elevated by early success, Rexhep Rexhepi remains a watchmaker with an uncommon humility and common sense, no doubt partly a result of his unusual background. 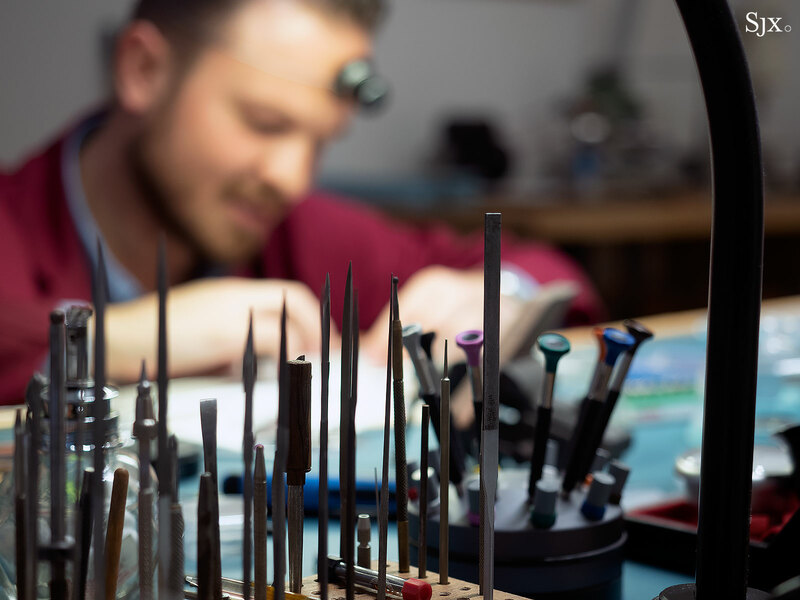 Because of war he had to flee his native Kosovo, a predominantly Muslim Albanian territory once part of Serbia, for Switzerland, setting him on the path to becoming an independent watchmaker. Despite only turning 32 this year, Rexhep (pronounced “reg-ep”) has a surprisingly well-developed eye for fine finishing, evidenced by the exemplary Chronometre Contemporain. And therein lies the irony: a wristwatch made in accordance with the most eminent of Swiss watchmaking traditions is the work of a Kosovar refugee. 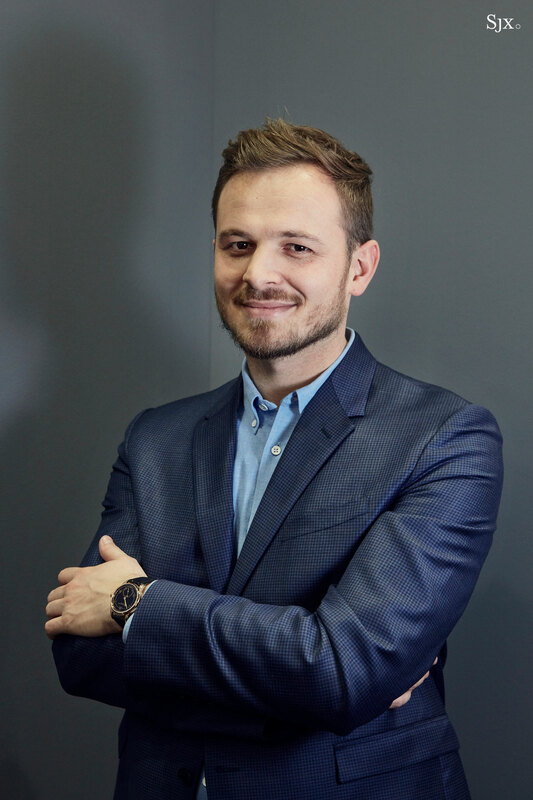 But Rexhep is also an entrepreneur who founded Akrivia, an independent watch brand named after a principle of the Eastern Orthodox Church that dictates strict obeyance of canonical law. 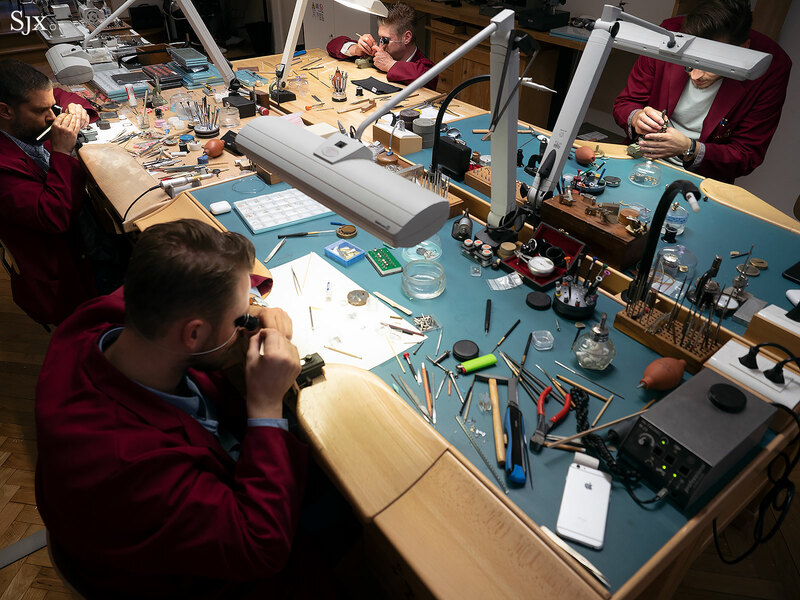 Located in Geneva’s Old Town, Akrivia employs four watchmakers, including Rexhep’s younger brother, Xhevdet. But in contrast to many of his peers, Rexhep owns the entirety of the company. While Rexhep is modest, keen and warm, he also understands the importance of control. 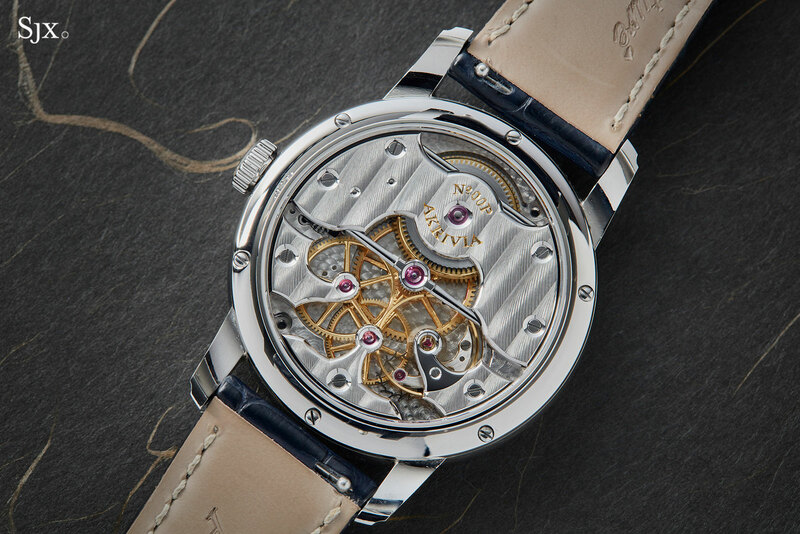 Rexhep’s study of watchmaking goes beyond the technical know-how needed to make a watch. He has an earnest interest in the business of independent watchmaking, including the failures of various brands over the years. His stint at once high flying complications specialist BNB Concept instilled a particular economic discipline that will no doubt serve him well. I visited Rexhep in Geneva on several occasions last year, and in the process came to understand how different he is from many of his peers. On his recent visit to Singapore in December, I had a lengthy chat with him to put everything into words. Here it is. Can you tell me more about your childhood? I know your background is very different from the typical Swiss watchmaker. I was born in Kosovo in 1987. Both my parents were from Kosovo, but my mother left when I was three and my father worked in Switzerland since 1976, so I lived with my grandmother. We lived with my uncle, aunt and cousin. We’re a big family – 18 people. I lived in Kosovo until I was 12, then I moved to Switzerland in 1998 during the Kosovo War. That was very difficult for me; I left my grandmother, my friends. I left Kosovo with my father but frankly I didn’t really know my father and it was really hard to adapt for a 12-year-old. The first year was really, really complicated. I’ll tell you a funny story from those days. 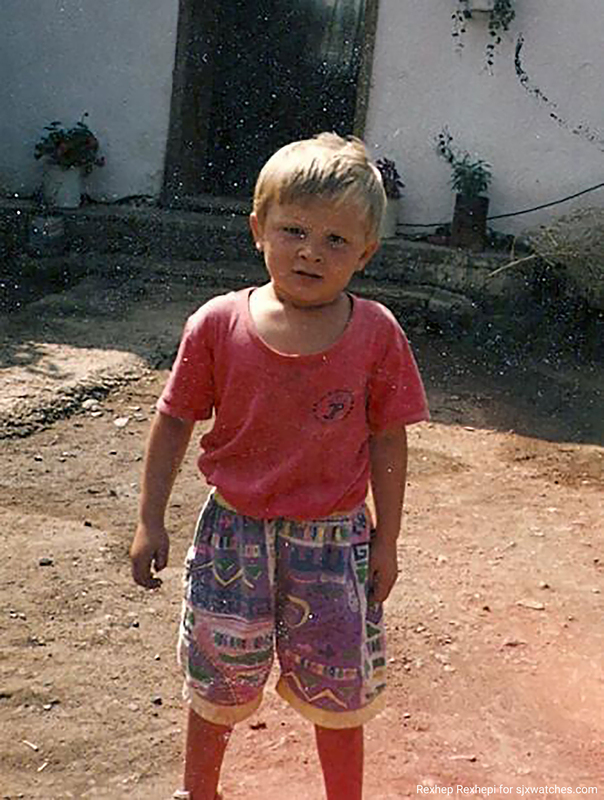 Back then in Kosovo, bags with multiple pockets were all the rage – the more pockets, the better. So when my dad brought me to buy a bag after I came to Switzerland, I chose a bag with many different pockets. [laughs] But when I went to school, everyone was carrying an Eastpak. I had to wait one year before asking my father for another bag. And then at 14 you started at Patek Philippe? I signed the contract at 14, started my apprenticeship at 15 [and stayed for five years]. I learnt a lot, specially finishing – the right way. After Patek Philippe I went to work for BNB Concept. That was three years, and then I worked for F.P. Journe. When I arrived at BNB Concept, I started working on the tourbillon. It was interesting because we made good things and some bad things. I learn a lot because we created a lot of different complications for different brands; I was next to an engineer whom I learnt [about movement construction and design]. What do you think was the most important thing you learned at F.P. Journe? I have a lot of respect for Francois-Paul Journe and what he does. I learnt about organisation of production. As a watchmaker there you make a watch from A to Z; you are responsible for your watch from start to finish. And when you deliver the watch to a client, and the client has problems with it, you are the one responsible for fixing it. When the watch comes back, Francois-Paul will ask what happened, and I had to answer to him. Why did you start Akrivia? I would always joke with my friends in school that I one day I would become an independent watchmaker. I made some watches when I was 15, 16 years old for some pocket money. When I got my first salary from Patek Philippe – a small salary – I took 200 francs. But my father said it’s the last time I could touch my money [since I had to save]. So I would buy an ETA movement, do some decoration, case it and then sell it. It was interesting because I started to understand how to make some watches but I realised it was not the right way. I was just waiting for the right moment. After BNB Concept, I started thinking about it seriously. At F.P. Journe, I really liked what he does, and he once asked me why didn’t I make my own watch. In 2012, it was the right moment. How did you manage to start without investors? It’s quite rare for an independent watchmaker to manage that. I had savings from before. Being independent in your work also means you don’t need other people. I want to make watches in the way I want and this is why I don’t want to take investor’s money. Do you think that it’s an advantage for you that your background is different from many other watchmakers? Yes, I had to push a little more and improve. When I started my own company, I tried to give everything I had to show to the people that I am able to do this. If you want something, you have to work for it. In Kosovo, if you want a toy, your father or uncle can’t give you money for it, because you have to be careful that you are not different from your cousin, brother or neighbour. Even though my dad worked in Switzerland but he didn’t want to give me extra. So if you wanted a toy, you had to find a solution. How did you design the original Akrivia case? How did you design the Chronometre Conteporain? At the end of 2015, I started realising that some people don’t like the original Akrivia case. We had discussions with different clients. I also spoke to Michael [Tay of retailer The Hour Glass] and he really gave me the courage to believe in a new design. So I could put my name on the dial and make the design more classic. But still I tried to establish a unique identity with the asymmetric bezel, an Art Deco dial, and extra-large seconds like on observatory chronometer pocket watches. Will the designs of the different Akrivia collections ever cross? For example, will you put a hammered dial in a Chronomètre Contemporain and an enamel dial on an AK? Maybe we can use enamel on an AK but we try to have different features for each line. The response to the Chronometre Contemporain has been very good. Was that a surprise? Yes, it was really a surprise. At the same time, I’m more comfortable with this watch than the others. Because when I was 25, I was trying to understand the market. At BNB Concept, I saw a lot of different brands making all sorts of watches, so I thought I needed to make something different, and maybe the style was not really me. So, in a way this watch is the work of a more mature watchmaker? Totally. Initially with Akrivia, everyone asked why I didn’t use my name for the brand. In Kosovo, everyone with a shop uses their own name but for me it was a little too much. In about 2014, there was a client who said to me, “If I buy a watch from you, I buy it because it represents something. If I want a brand, I go to Patek Philippe and Rolex.” So now I try to forget the label “brand” in our communication. Even though your name is on the dial of the watch, you still have a company. You have employees. What is your plan? Do you want to be like F.P. Journe and make 900 watches a year? Never. It’s really difficult to do today what Journe did because the market has changed and you have a lot more competition. It’s also not my dream. I just want to make watches. I started this because I really wanted to make my own watch. If people like Akrivia today because of its philosophy, we will lose that if we started to produce more. And I want to be close to my watchmakers; we’re a small family. Your watchmakers are all quite young. The average age is 32. Why don’t you hire older watchmakers? Maybe in the future. I realised one thing – it’s more difficult to try to change the mindset of an older guy, he just doesn’t want to do what I want. So the oldest watchmaker is 38. You also said before you want to have a bigger workshop. What is it that you want to produce? Movement components, dial? You can’t make everything yourself straightaway because it takes a lot of work and knowledge. It’s also hard for a small company like us because some suppliers don’t have respect for a small company. It’s a step-by-step process, but the goal is to be independent eventually. Maybe in one year or so, we will have a CNC machine to produce parts. Maybe we can make the components of the case and dial also. You said before even when your company grows and you make more watches, you’d want to cap the number of watches you produce. Can you explain how many of the Chronometre Contemporain you want to make? 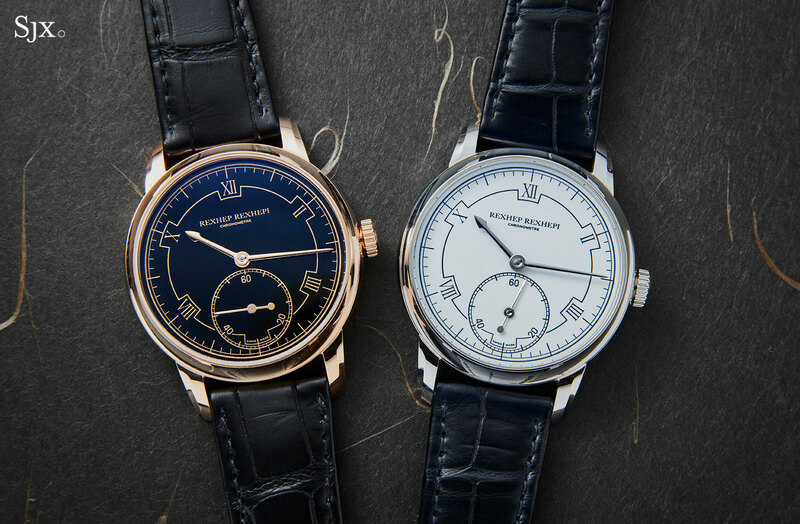 For the first series we will make 25 in rose gold and 25 in platinum. 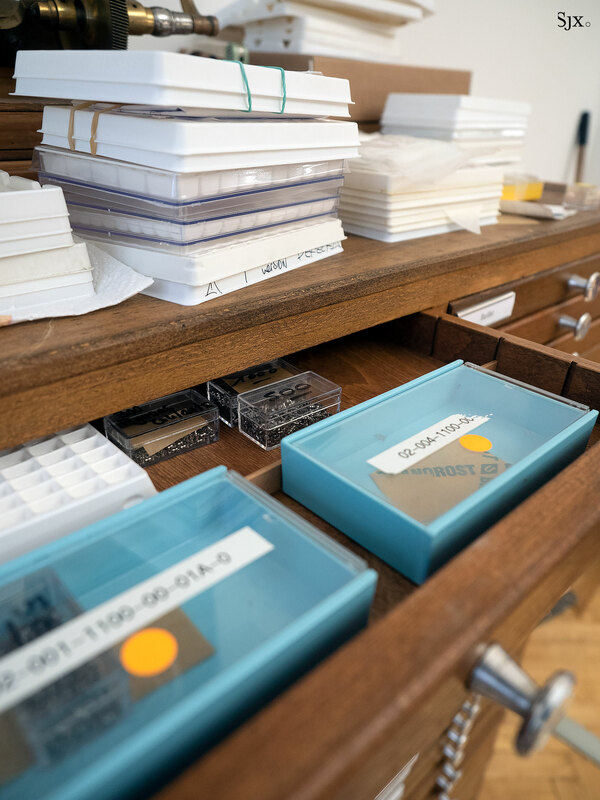 We try to produce between 15 and 20 watches per year. The most important is to maintain the quality and to keep the philosophy of one watchmaker making one watch. And total number of Chronometre Contemporain movements is 200? When will the first Chronometre Contemporains be delivered? Early next year. We have some watches now that are being tested at Besancon. Which has been more popular? The end of "single-" and "doubled-seal" Patek Philippe timepieces?